Hello comrades Iran, I have a question as we all know.The present time only about possible conflicts between Israel and Iran, so as far as I know, the F-14A is still the backbone of the Iranian army, but old electronic system (which may haveupgraded by Russia), but maneuverability almost Su-27 (ie more than the F-15I) and long-range missiles AIM-54 phoenix.Sure would be a real threat to the F-15I of the Jews? - 20 mm. 6 barrelled cannon at wing root. Air-to air missiles: Python 3, Python 4, Sidewinder, Sparrow and AMRAAM. Varied air-to-ground missiles and guided bombs. I would go with the Iranian F-14A + IL-76 AEW and AIM-54. 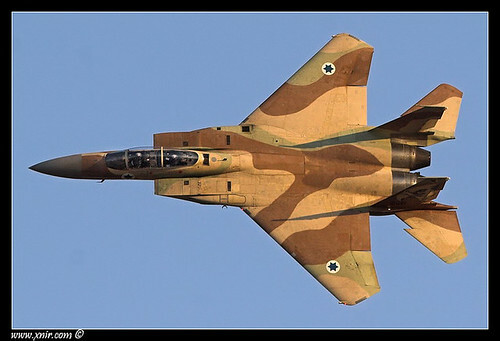 IAI Phalcon AEW + F-15I and the AIM-120 will also be a threat.But AIM-120 as far as I know the lower range of the phoenix. We are talking about BVR, and Dogfight, depending on the level of the pilot, I do not know F15I the maneuver with specific numbers? Is Iran even capable of flying F-14s anymore? Yes, they started overhauling them couple of years ago, also putting one or two into service which had been stored since delivery. I think it was about 20 aircraft, divided over three units I think, I believe one was just OCU, one just gearing up again, and then the one tasked with the defense of the capital. If I remember the article correctly, the logistical issues have been solved largely by reserve engineering, but now the challenge is training new pilots for the type as well as issues with the weapon's stock.